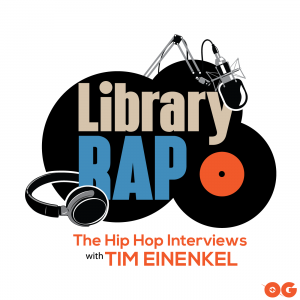 This week on The Library, one half of Smif-N-Wessun, General Steele. Tim and the Bucktown MC talk about the 25th Anniversary of Blackmoon’s Enter da Stage,Smif-N-Wessun’s Dah Shinin, their appearance on NPR’s Tiny Desk Concert. Steele also gives us insight to the Brooklyn group’s creative process, working with 9th Wonder and talks about their soon to be released album, The All.